This keyboard has really well illuminated keys and the three color profiles are good in varying conditions. The problem is the build quality - the membrane is really lax and wears down to where keys barely budge before registering, the paint on the keys chips off and since the backlight is shining through gaps in the paint it makes letters illegible. 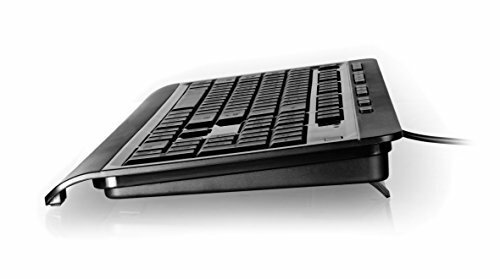 That being said, this IS really cheap for a multi-colored backlit keyboard with media keys, and if you are the target market of a product like this (an infrequent keyboard user to begin with) this keyboard is perfect. Its just fairly specific.